Celebrate the career of a true Marvel Visionary! 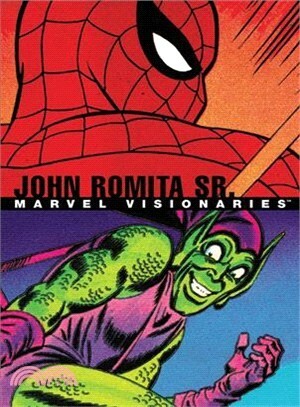 From the Fabulous Fifties to the future of the Femizons, Jazzy John Romita brought his distinctive and definitive style to all corners of the Marvel Universe! Witness the coming of the communist-hunting Captain America! A furious face-off between Spider-Man and the Green Goblin! The debut of the Devil's Daughter! Peter Parker's parents in perilous predicaments! And classic stories featuring the Fantastic Four, Daredevil, Nick Fury, Wolverine, the Kingpin and more - including rarely seen horror tales from the pre-Marvel era!